The ease with which you can create new files in Google Drive, coupled with the usefulness of the applications found there, can lead to a situation where you have a lot of files in your drive. This can not only make it difficult to navigate, but it can also use up a lot of your storage. 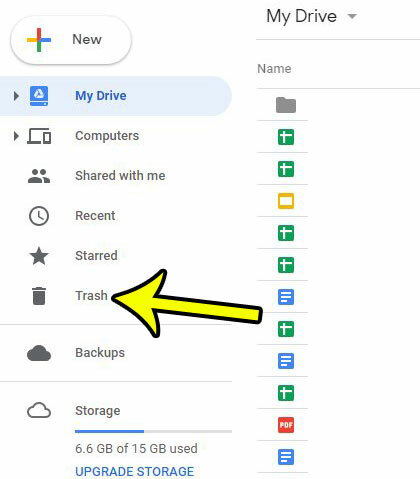 You may have gone through and deleted some of the files from your Google Drive, but those files are actually still accessible in your account. 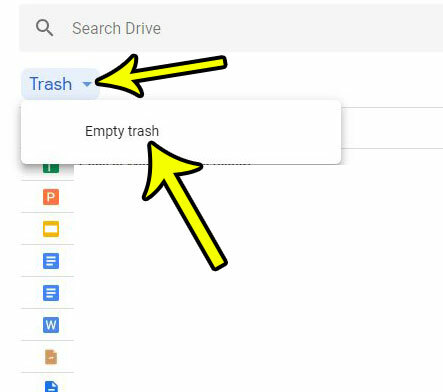 If any of those files had sensitive information that you don’t want someone with access to your account to see, then it is helpful to periodically empty your Google Drive trash. Our tutorial below will show you how to do this. The steps in this article were performed in the desktop version of Google Chrome, but will also work in other desktop browsers like Edge or Chrome. 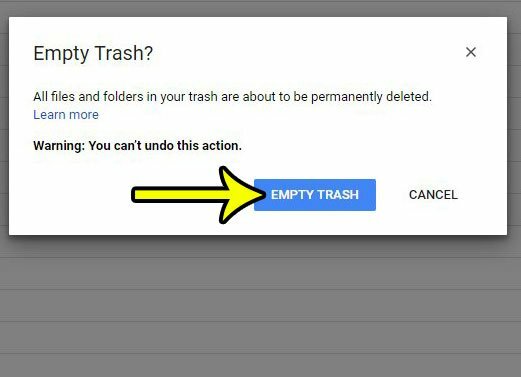 Once you complete these steps, the files in your trash will be permanently deleted. Step 1: Sign into your Google Drive. Step 2: Select the Trash option from the list at the left side of the window. Step 3: Click the arrow to the right of Trash at the top of the window, then choose the Empty trash option. Step 4: Click the blue Empty Trash button to confirm that you wish to permanently delete these files. Do you sometimes write web addresses in your documents, and Google keeps turning them into links? Find out how to change a setting so that these URL’s don’t always become hyperlinks.